Preparing for Monday’s national holiday commemorating the life and legacy of the Rev. Dr. Martin Luther King Jr., Los Angeles County Supervisor Kathryn Barger shared King’s powerful lesson with a group of youngsters at the Quartz Hill Library last week. 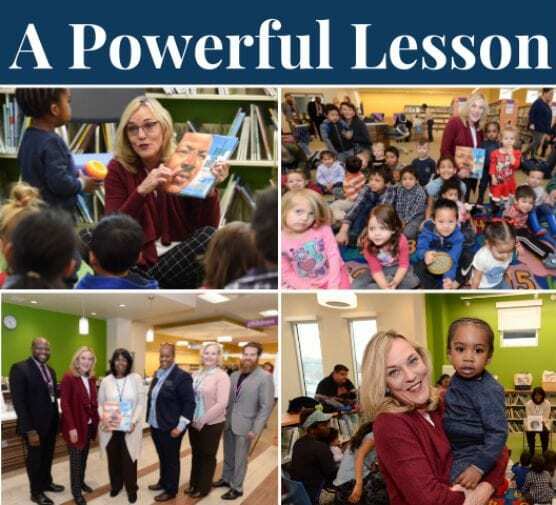 “On Monday (Jan. 14), I joined a great group of children for story time at the Quartz Hill Library,” Barger wrote in a newsletter note to constituents on Saturday. “We read from ‘I Have a Dream,’ a book about Dr. Martin Luther King Jr.’s life and legacy, and each child was sent home with their own copy. “It was truly special to see this incredible story through the kids’ eyes and remember how Dr. King’s profound message has spanned generations. “His advocacy continues to teach us lessons about compassion, fairness, and leadership, encouraging youth to follow suit early in life and reminding adults of these important core values.